I love receiving mail. Hand delivered by a man dressed in red. Today, 25 lovely ladies will be receiving a special package from Mum and me! 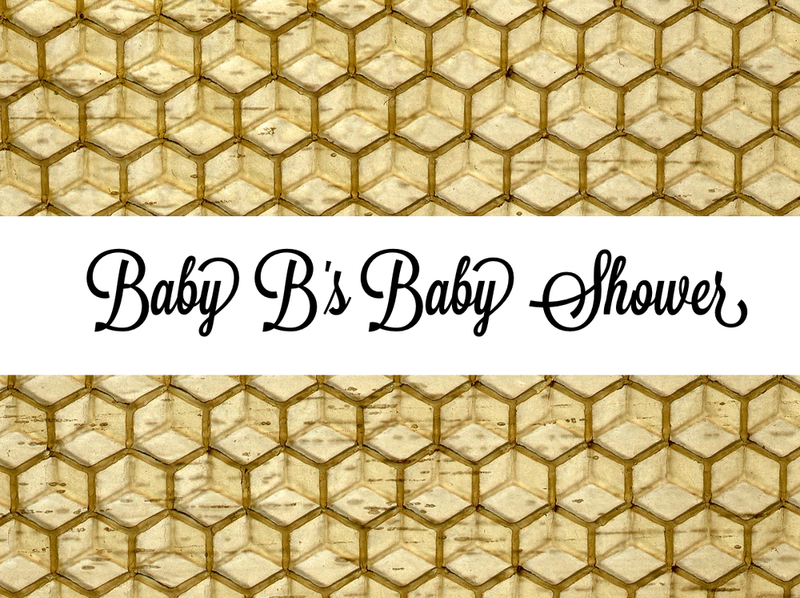 I have finally put together all the information and activities for my sister's Baby Shower! There are three things to do and a prepaid envelope back to the Auntie to Bee - me! Their packages include a blank triangle of white fabric cut from a remnant I bought from the local fabric shop £1.50 and a black pen. The idea is they all decorate a triangle and then I glue them to a lovely yellow polka dot ribbon I found at a flea market, to use as bee theme bunting around her house! Simple but when pieced together, will look very effective. Plus you can't get much more personalised bunting than that can you?! They also have a newborn nappy (I had completely forgotten how small they are - we use size 6+ at night for Sammy) which they can write a word or brief message on. Something to make them smile when they are changing the 10th nappy of the day! I have asked for a photo from when they were little to make a 'Guess the Baby' competition and they have some bits to read including an idea to keep all the Daddies and children amused and out of the way! Instead of everyone having to spend money on buying individual presents (which seems mad as I'm sure we will all want to buy something when the baby is actually born) I have suggested we all go in together and contribute a small amount to getting them what they really need - supplies! The good thing about being the younger sister is you get to borrow everything! So they are sorted for neutral clothes and baby equipment. In fact we have a mass sorting session booked in for this weekend. They will be going home to Bracknell with a car bursting with baby paraphernalia and our loft will be empty! I have banned her from reading my blog, so I'm not spoiling any surprises! You can keep up with my ideas by following my Pinterest board here. Everywhere I go I see black and yellow. I am secretly stashing things under my desk in my office!